CHOOSING & ORDERING YOUR PORTRAITS IS EASY! 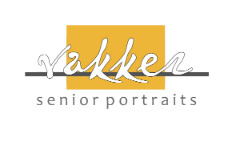 One of the ways we make it easy is that you get to checkout a set of actual photographic previews to take home along with our comprehensive senior product catalog so you can take your time making your decisions in the comfort of your own home. It's so much better than choosing from a computer screen or inkjet paper proofs like you'll get with nearly all other photographers. One of the fun things about senior portraits is designing your own unique items. Together we can create beautiful coffee table books, totally cool metal prints, multiple image wall collections, and traditionally framed portraits. We love helping you to put together the best package for your family. We'll show you the most exciting and beautiful ways to showcase your own unique images, too. When it comes to placing your order, every family's wants and needs vary, so there's a really wide range of what you may spend. Our packages start as low as $319. We have no minimum order requirement and you may select from packages or ala carte, so you'll be able to put together exactly what you want. Contact us for more information or to book your portrait session appointment.